I think going zero waste is a journey that's best celebrated in small steps. Whenever something can be eliminated from going to the land-fill, that's cause for celebration. My sister-in-law, Mandy, is further along the journey than I am and a great source of encouragement for me. Recently, we were discussing what to do with our leftover chicken bones. We both already save them to make soup and stock, but the question we had was, what do we do with them after that? 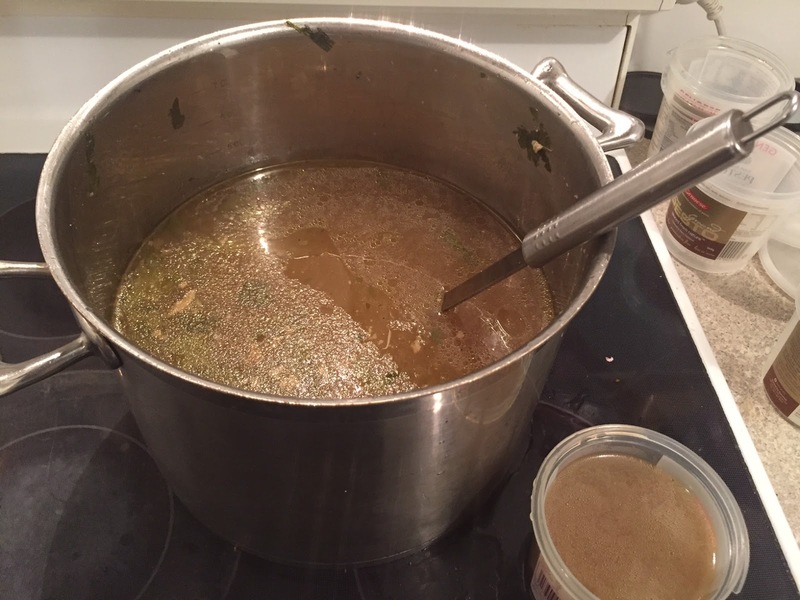 Mandy wondered if they would be soft enough to blend up with all the leftover vege scraps, after simmering in the stockpot all day, so I vowed to give it a try the next time I made chicken stock. I emptied out the bottom drawer of my freezer, which is where I store all my chicken bones and vegetable scraps (onion ends, celery leaves and ends, carrot peel and ends) until I'm ready to make stock. I threw it all into my big stockpot and covered it with water and a couple of tablespoons of apple cider vinegar, then I let it simmer all day. At about 4.30pm, I turned it off and let it cool down for an hour. Then I fished out the bones and vegetable scraps and put them into my blender. 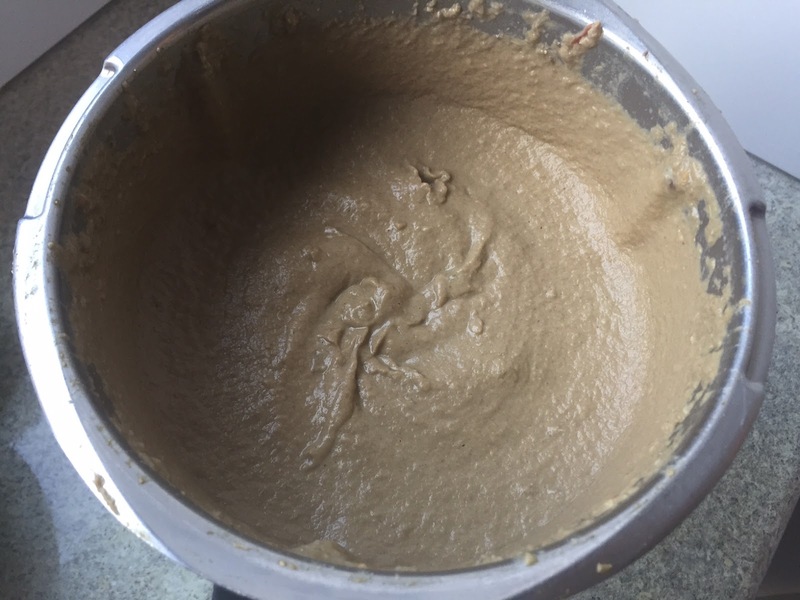 Now, I have a very POWERFUL Thermomix (think: the power of a motorcycle in a blender), so I suspected it'd be strong enough, but I didn't want to wreck the blades, so I was still nervous. 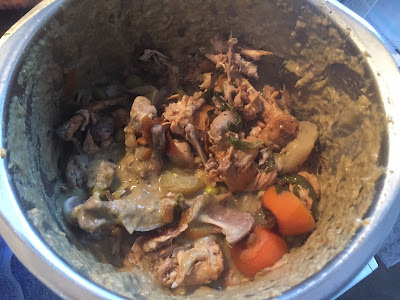 At first I only put in the thinner bones of the carcasses and wings, and left out the thicker leg bones, but the Thermomix whizzed them up easily enough with all the softer vegetables, and when I tested one of the leg bones by breaking it in half with my hands, it broke very easily. I suspect the long simmer and apple cider vinegar had softened it quite a lot. So I threw all the leg bones into the Thermomix too and whizzed them up. If you have a blender that's not quite so powerful as mine, you could try just whizzing the finer bones, and see whether that works for you. You could also add water to help lubricate things. Chicken bones and vegetable scraps, already used to make chicken stock. It worked. I was left with a thick green soup-like substance, which my cat was very interested in. Whizzed up softened chicken bones and vegetable scraps. 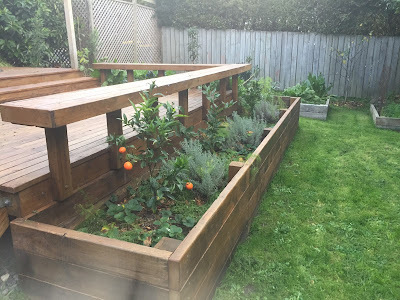 ...and spooned it out around my citrus trees, then mixed it with grass clippings to help deter pests. My lemon tree was looking a little yellow, so hopefully this lovely homemade fertiliser will help perk it up. Homemade bone compost around my lemon tree. Voila, instant garden fertiliser. No waste! I didn't take a photo of it all covered up with the grass clippings, but it helped it look better. Less like someone has pooed on my garden, you'll be relieved to know. Zero-waste success! What do you do with your leftover bones? We burn all our bones in the Woodburner heater, when we empty the ash it has the added benefit of bone dust for the garden, no waste. My goal one day is to get a Woodburber. 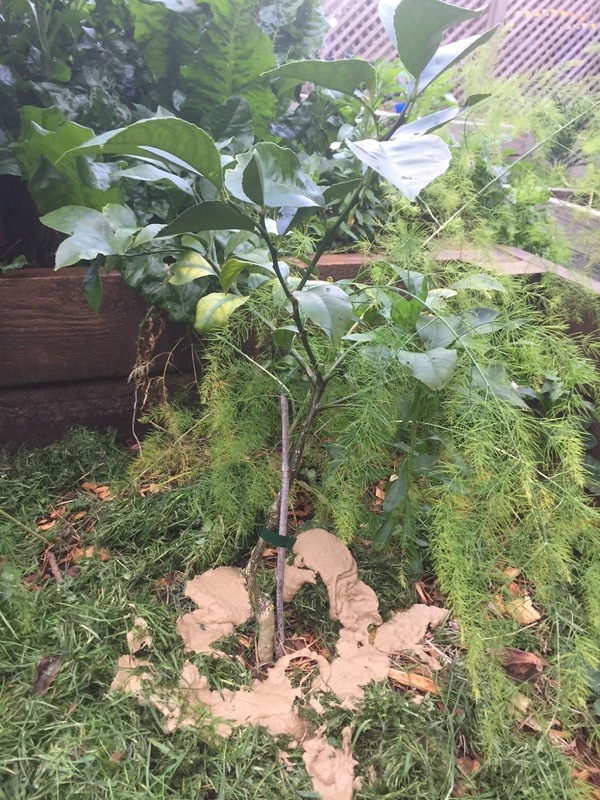 Bone meal is great for making your tree develop more fruit. I love this idea, but I don't think my blender is strong enough. For your leaf problem, it's actually iron-deficiency that causes yellow leaves with green veining. You'll want to also give your tree some iron for this. It happens on all plants but I notice it more profoundly on my citrus trees.